There are quite a lot of studies and research focusing on the impact of video games and the way your child develops and grows towards adulthood. While a lot of parents seem to be living under the misconception that this is something harmful, it’s important to note out that video games could actually have tremendously beneficial effects on the way your kid is growing up. This is the main reason for which we have taken the liberty of providing you with 8 reasons for which you should definitely consider letting your kids play as many video games as they want to. Now, before you rule out critical thinking as something negative, keep in mind that this is not the general sense of the meaning. Critical thinking means that you are analyzing everything and putting it to the test before you accept it as a general truth. This is something absolutely important when it comes to the development of your kid. They are going to learn how to think quickly which is one of the greatest benefits of video games. Furthermore, most of the video games, without citing any names, require that your kid solves some sort of an issue. This is the main reason for which they will develop the ability to think quickly and on their feet faster than others. And, when we say general interest, we mean it! Video games promote interest towards important things such as culture and history, for instance. Again, without citing any specific names, there is a tremendous amount of video games which are based on popular and true historic faculties and occurrences. A lot of them revolve around the flourishing of certain civilizations and the way they developed into what we knew them as. Furthermore, video games are transgressive, meaning they do not account for superficial factors such as race, ethnicity or different cultural belonging. Just on the contrary, they inspire kids to look past this and to ensure that they are only interested in what there is to know. This is going to provide tremendous learning opportunities. Another particularly significant advantage of video games is that they will help your kid socialize and make new friends. 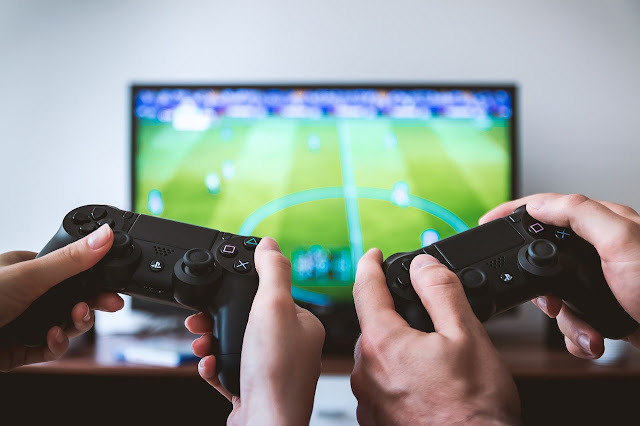 In contrast to their parents, kids are actually perceiving the act of playing a video game as a rather social activity and not as an isolating one. While you, as a parent, might think that your kid is alone in his room, he or she is actually surrounded by friends. They are just not there. Video games are known to create common grounds for kids who have similar interest and they like to hang out. It literally provides your child with a structured time during which he can chat with friends and socialize. In fact, a lot of kids reveal that video games are the points of interest and the things that his friends chat about the most. Being involved is, therefore, rather important. As crazy as this may sound, kids learn a lot of new moves from playing video games. This goes out especially to the kids who are really into sports games such as basketball, football or any other type of sport for that matter. They would quite commonly identify a new move while playing the game and guess what? The first thing that they want to do is to master the craft. So, inevitably, they run outside just to make sure that they learn that new move and put it to practice. This is absolutely true. There are quite a lot of studies which determined that video games which are sports themed increased the overall involvement of kids in sports and actual exercising in the real world. Almost all the games available to your kid are competition-based. Someone has to lose while the other one has to win. That’s how the game works. And, guess what – this is something absolutely beneficial. Kids who play video games develop a very important competitive edge – one which makes them want to push harder in order to get to the top. This is something absolutely critical. It provides them with an important drive and desire to win – one, which is going to help them out in the real life significantly. It’s a thing which will make you push harder in order to get where you want to be and video games are amongst the things which help you the most. Most of the video games that your kid plays, especially those which are multi-player, are played in groups. The kids are divided into different teams and compete against each other. Naturally, this means that there needs to be a leader. One very interesting study showed that teens who had played online games felt that they truly had gained leadership skills such as being able to persuade and motivate others and even to mediate disputes. This is absolutely staggering and to be considered when it comes to it. A lot of kids are openly proud of being good at certain video games and this is undoubtedly one of the things that you should focus towards. This means that they have a skill that others don’t. Now, this is important because a lot of the kids would actually be very glad to teach those skills to other kids. This is what incentivizes relationships and provides teaching opportunities which are very important for the overall development of your kid. Last but not least, kids consider video games fun and that should be enough of a reason for you to let them play. Face it, the times are changing and we are starting to live in the digital era – something that you have absolutely no control over. This is one of the things that you need to take into account. Do not be one of those regressive and old-school parents who fail to see that the world is changing. Kids like video games now and that’s pretty much something that you should get used to. In other words, playing video games is far from being the harmful thing that you may think it is. It’s something which could incentivize a range of positive alterations and to push your kid towards proper development. This is something that you need to realize as quickly as possible and make sure that you take it into proper account. Lucy Benton is a writing coach, an editor who finds her passion in expressing own thoughts as a blogger, and currently works at BestEssayTips. She is constantly looking for the ways to improve her skills and expertise. If you’re interested in working with Lucy, you can find her on FaceBook and Twitter.